Jeff traveled to Spokane, Washington this past week for business. He had little, to no time to explore the city so he couldn't share any cool finds with me but I thought it sounded like an interesting place to feature. Spokane is located on the Spokane River in Eastern Washington and just 92 miles from the Canadian border. It is the second largest city in Washington and seems like a very desirable place to live. It is close to dozens of lakes and rivers, mountains and just a four hour drive from Glacier National Park. I have selected the South Hill area to feature which is one of Spokane's oldest residential areas. It seems to have a huge amount of historic homes and lots of community green space. However, it was hard to find any descriptive information on the area or write ups on great local finds. Any readers have recommendations? 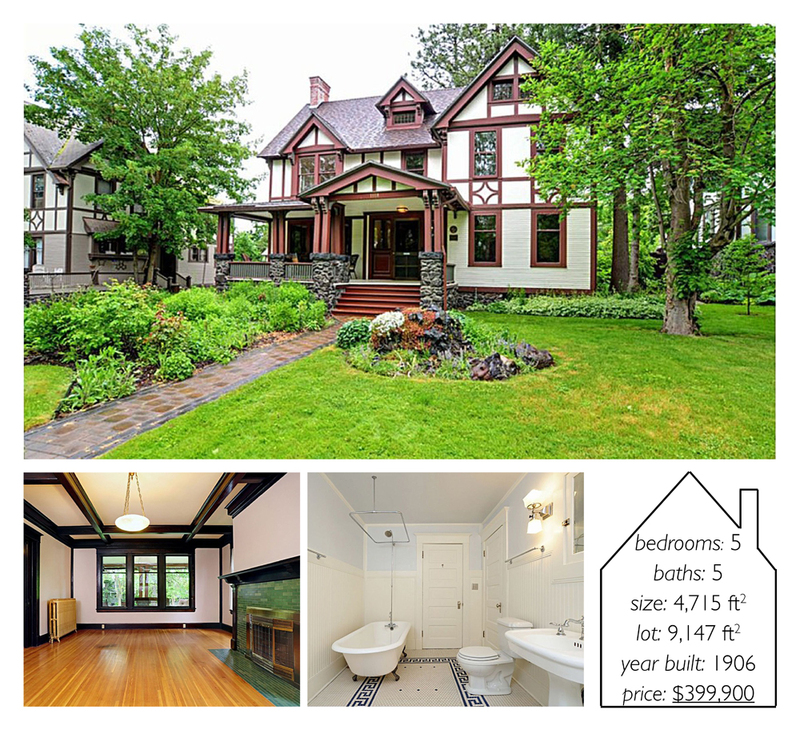 Located in Cannon's Addition, this home was designed by W.W. Hyslop a prominent Spokane architect in the early 1900s. It features a beautifully grand living space, a large lot and much of its original character. This home is on the National Historic Register as well as several local registries. It has tons of original woodwork, leaded glass windows, wood floors throughout as well as an updated kitchen. This home has both historic charm and modern amenities. Key attributes include a great kitchen, new patio and close proximity to the local park. The Ferris House is one of the most significant architectural designs in Spokane. 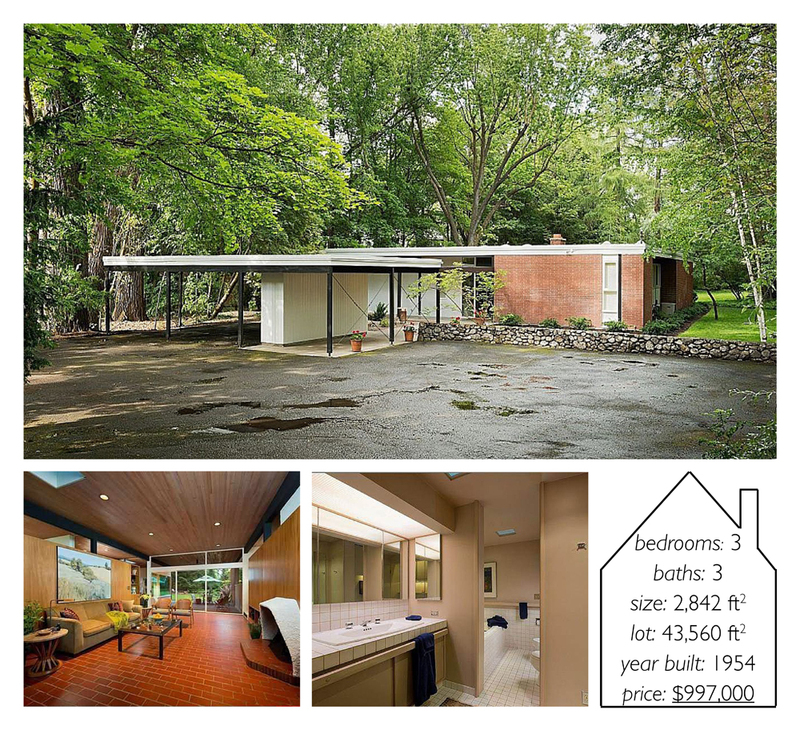 Designed by Bruce Walker, it is iconically modern. It is situated on roughly 43,500 square feet of property giving it a sanctuary like feel. For more information check out this home's website.